NEW trailer for LEGO DC Super Villains ahead of its 19th October launch in the UK, showcasing the chaos of a world without super heroes. For the first time in a LEGO game, players will be given the opportunity to unleash their inner bad guy, creating their own fully customisable super-villain character complete with their own signature super power. In LEGO DC Super-Villains, the Justice League has disappeared, leaving Earth’s protection to a newcomer group of heroes from a parallel universe, proclaiming themselves as the ‘Justice Syndicate’. However, legendary DC Super-Villains, including The Joker, Harley Quinn, Lex Luthor, Deathstroke, Killer Frost and countless others, discover that the Justice Syndicate may not be as heroic as they claim to be. Led by each player’s customisable super-villain character, this team of misfit lawbreakers must join forces to stop these phony super heroes and save the world… so that they can finally rule it themselves. 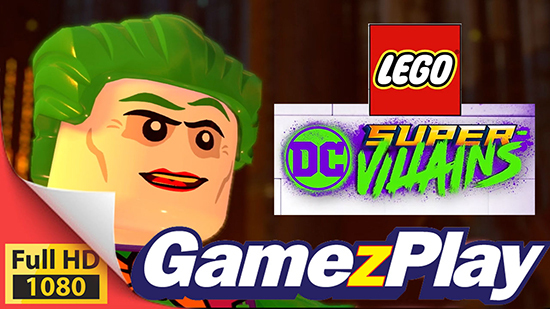 LEGO DC Super-Villains will be available next Friday 19th October 2018 in the UK for PlayStation 4 computer entertainment system, Xbox One X, Nintendo Switch and PC.